As the cold weather continues across the UK, keeping your hands warm on your motorbike can become a real challenge. Even if you don’t use your motorbike throughout the winter, every time the skies are clear and the roads are dry it’s tempting to pull the cover off your pride and joy and go for a weekend blast. Heated gloves of the past could be a little hit and miss, but today’s modern technology and advanced battery design means they are the perfect way to keep your digits toasty. 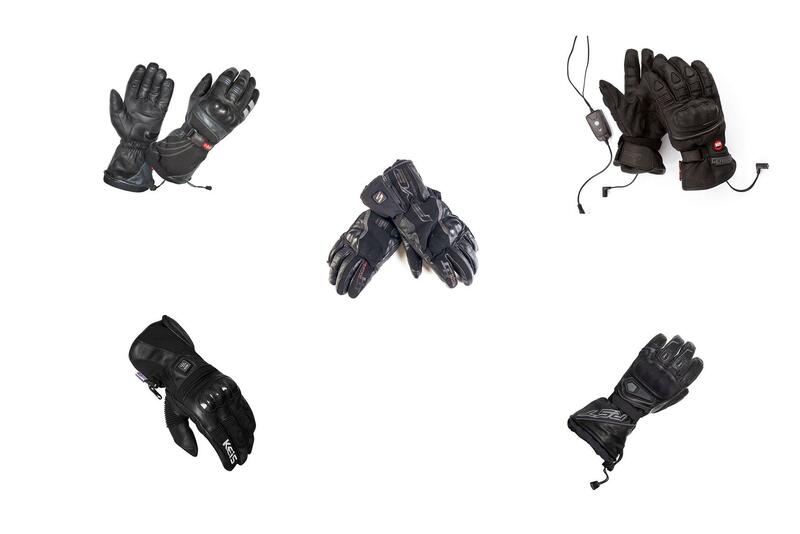 Here’s MCN’s pick of five pairs of heated motorcycle gloves. Gerbing have given their popular XR glove the short-cuff treatment and dubbed it the XRS12. They’re now super-easy to slip inside your jacket sleeve, with less bulk. The gloves come with a battery connector and controller with four settings. Even in sub-zero temperatures, the hottest setting can be too hot with the first or second highest setting being plenty for a very toasty ride. They’re brilliantly warm, windproof, waterproof and the fleece lining is plush and comfy. The heating elements also come with a lifetime warranty, which is fantastic news. They look and feel like a serious, well-made, quality product and all for a very reasonable price. MCN Sports Editor, Michael Guy, tested the Five HG-1 heated gloves and said: “When I first started using heated gloves five years ago I expected my hands to be toasty whatever the conditions, but from my experience, that is not always the case. "Rather than having hot hands, I’ve found that heated gloves in fact just prevent them from getting overly cold. However, these Five gloves are the best heated gloves I’ve used. They are well made, comfortable, fully waterproof and easy to operate with a single button – enabling you to select any one of three heat settings. "On the highest heat setting, they last just long enough to complete my 2.5-hour daily commute. They could be warmer and the charger is annoying, as it only comes with a two-pin plug which means you need to use a convertor to fit the UK power supply." 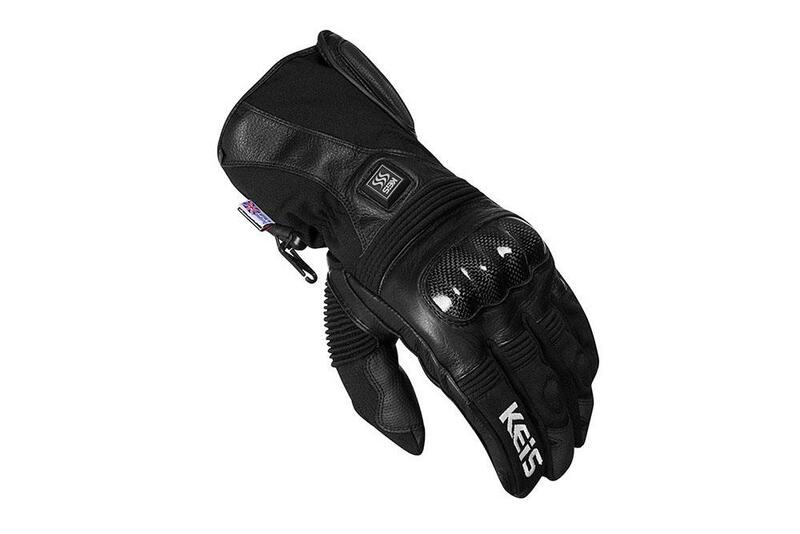 These heated gloves from Keis use a Thinsulate and Hipora layer for protection from wind and rain and can be powered by Keis batteries (not included) or a 12v supply from your bike. 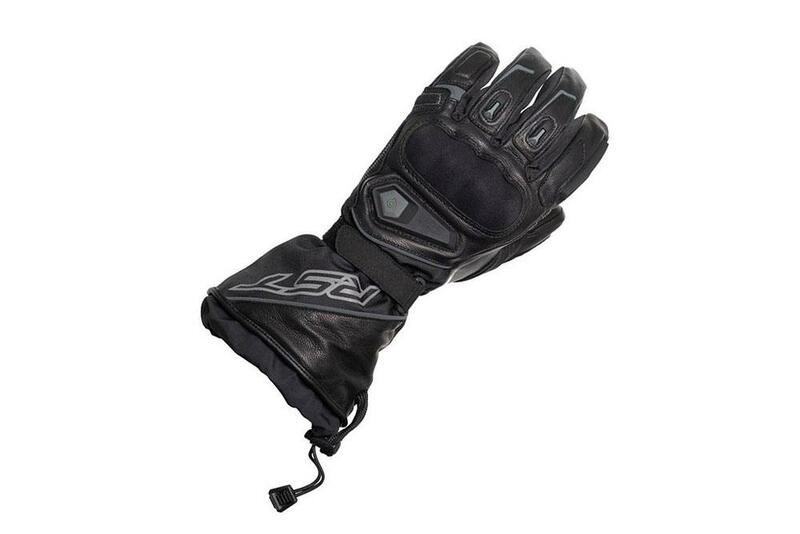 They have hard knuckle armour and a nylon and leather construction to keep your hands safe in a crash. 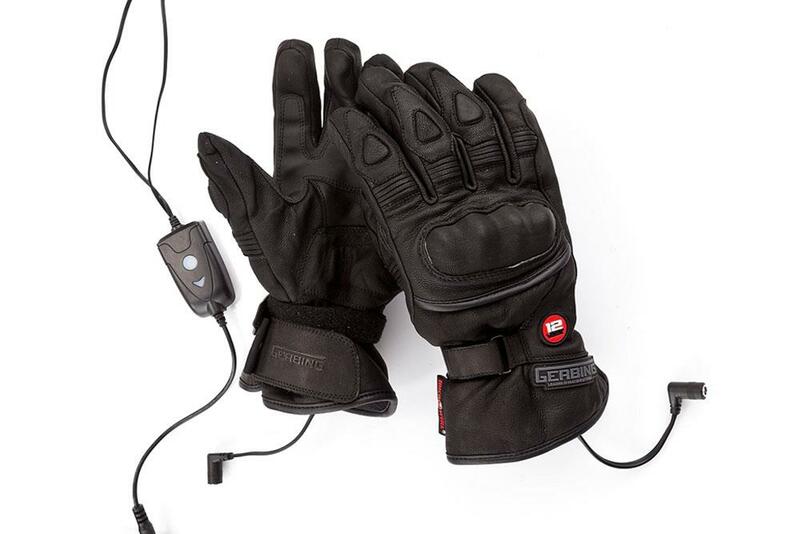 For heated kit, the G501s are good looking gloves. 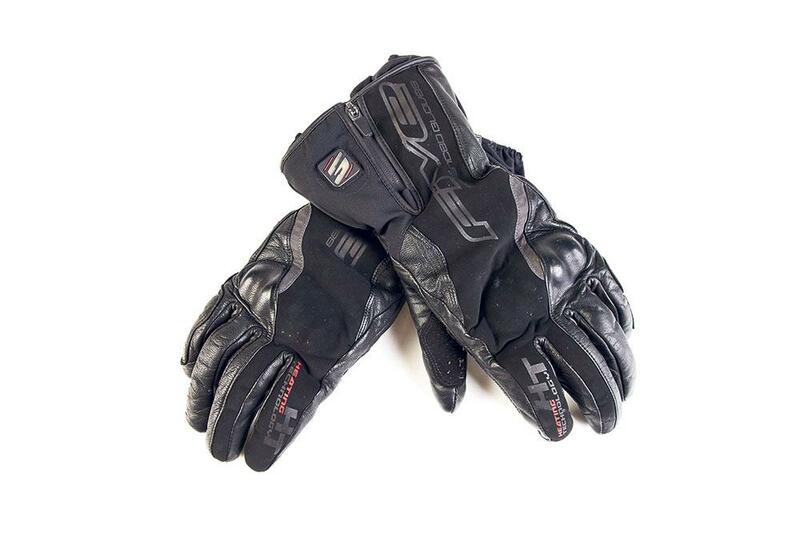 MCN’s sister publication, RiDE Magazine reviewed the Exo2 heated gloves and awarded them their coveted 'Best Buy' award. Here’s what they had to say at the time: "These leather gloves with a proper knuckle protector and secure wrist adjuster warm up fast and are one of the warmest around, heating evenly across fingers, palm and the back of the hand. "Though chunky, feel is reasonable and they fit well under the sleeves of our test jacket. Can run be powered from the bike or from the EXO2 StormChaser jacket." They're also the cheapest gloves on our list, which makes them a great option for dipping your toe to see how you get on without breaking the bank. 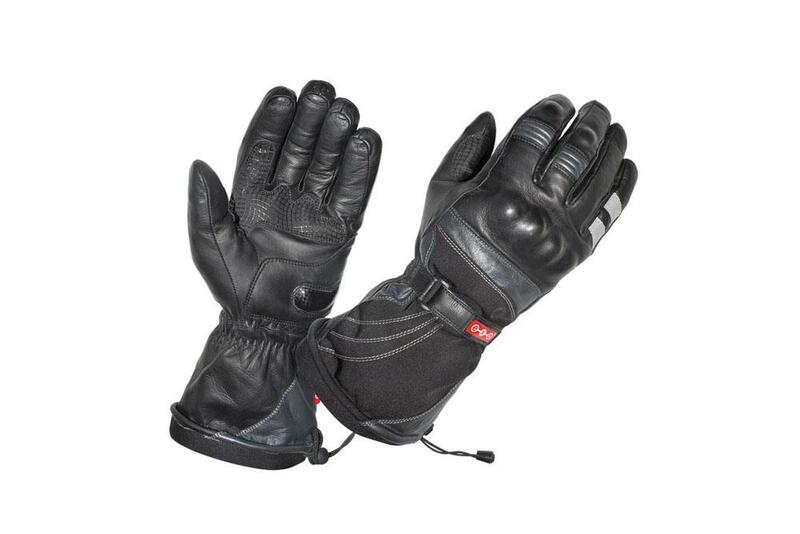 These RST Paragon heated gloves are quick to heat up, powerful and comfortable to wear. The three settings are selected using a single button on the back, which is clear and easy to operate. The cuffs are too chunky to wear inside your jacket sleeves, but the ergonomic pull-type fastener keeps all but the worst of the rain out, and even then, the water doesn’t make it past the wrist. In sub-zero riding conditions, the highest setting is enough to keep your hands comfortable, rather than warm, but above freezing you can quickly get away with the lower settings, which give the batteries increased life.